MASON CITY -- Donald R. Keith, 83, of Mason City died Tuesday, June 7, 2005, at 5:30 a.m. at Memorial Medical Center in Springfield. His funeral was Thursday morning at Hurley Funeral Home, with the Rev. Dustin Fulton officiating. Visitation preceded the service. Burial is in Mason City Cemetery. Mr. Keith farmed just northeast of Mason City until 1984. Then he owned and operated Nashville Sound Country Opry in Mason City for 16 years. He was born Sept. 6, 1921, in Mason County to Jesse and Sara Mulford Keith. He married Thelma Irene Huffman on Dec. 28, 1952. She died Nov. 30, 2001. He is survived by one brother, Harold Keith of Mason City; two sisters, Dorothy Krause of Mason City and Betty Emmons of Lincoln; five nieces; and two nephews. He was also preceded in death by one brother, Raymond. He was a member of the Mason City Christian Church. Memorial contributions may be made to the Mason City Area Nursing Home. 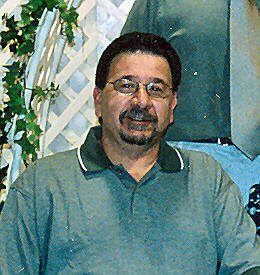 LINCOLN -- Herman Joseph Galligos, 54, of Lincoln died Sunday, June 5, 2005, at 12:35 p.m. at Veterans Medical Center in Danville. His funeral will be at 1 p.m. Thursday at Fricke-Calvert-Schrader Funeral Home in Lincoln, with Pastor Blair Kasfeldt officiating. Visitation is during the hour preceding the service. Burial, with military rites, will be in Camp Butler National Cemetery, Springfield. Mr. Galligos owned and operated Pinnacle Freight Services in Lincoln for six years. He was in the trucking industry for 20 years. After his military service he taught at Lewis and Clark Dental College in Alton. He was a sharpshooter stationed with the U.S. Army in Germany from 1968 to 1972 and was a medic in the Army Rangers. He was born Nov. 20, 1950, in Wood River to Joseph and Dorothy Grant Galligos. He married Deborah Detjen in Lincoln on July 16, 1988. He is survived by his wife, of Lincoln; three sons, Bryan Galligos of Godfrey, Jeremy White Galligos of Chestnut and Andrew Galligos of Lincoln; two sisters, Pam (and Art) Cotter of Godfrey and Denise (and Steve) Talbitzer of Brush Prairie, Wash.; his mother-in-law, Mary Detjen of Lincoln; and two sisters-in-law, Denise (and Victor) Martinek of Lincoln and Diane Detjen of Lincoln. He was a member of Good Shepherd Lutheran Church in Lincoln. He coached Little League football and soccer and was an avid Cardinal and Illini fan. Memorials may be given to the Galligos family. Click here to send a note of condolence to the Galligos family.